The “flying” butterfly roof form above the central circulation spine gives the design a certain dramatic, iconic imagery that is needed for such an important cultural institution within a community. 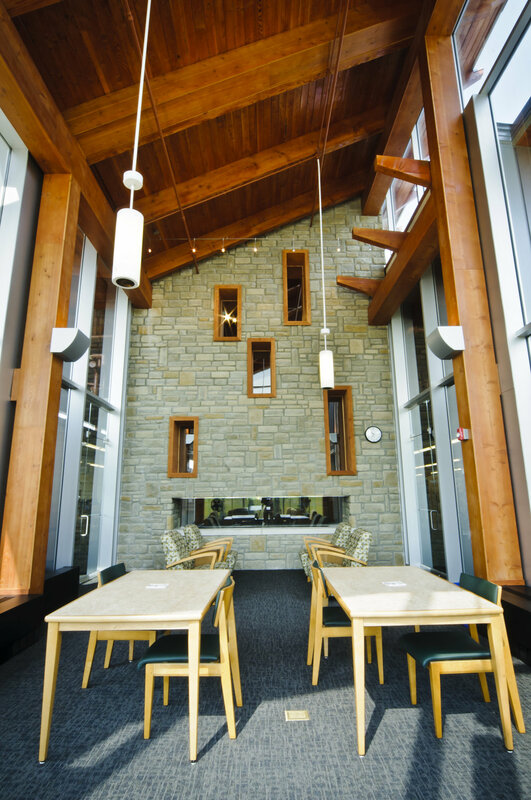 The library spaces are organized around this linear east-west circulation spine that terminates in a dramatic 26’ double sided stone fireplace and quiet study area to the east. This spine is filled with indirect natural light from an expansive north facing clerestory. 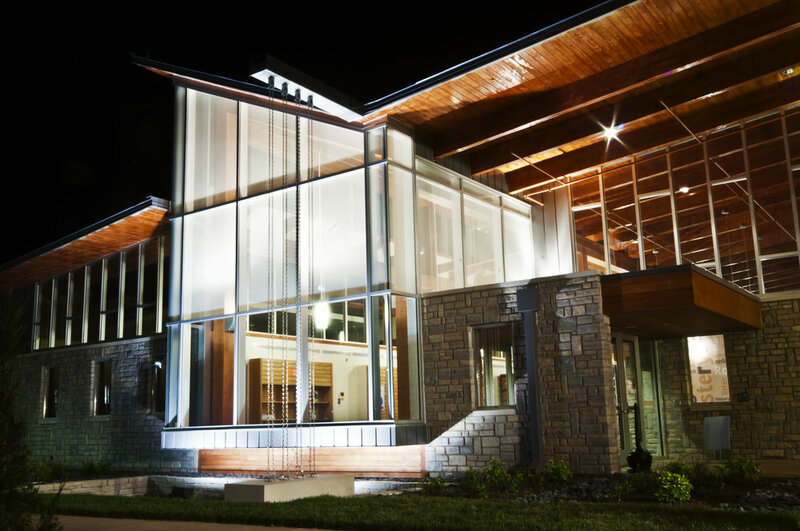 Three projecting stone and glass bays frame views of the north landscaping for patrons and provide a space to relax and enjoy the natural elements. Unique spaces include a large glass enclosed quiet study room with a fireplace, community meeting room, cafe, a large children’s area, dedicated storytime room, a teen space separated with a glass garage door, self service area for hold pickup and checkout, drive-up and book drop service windows, and outreach services including a bookmobile garage.